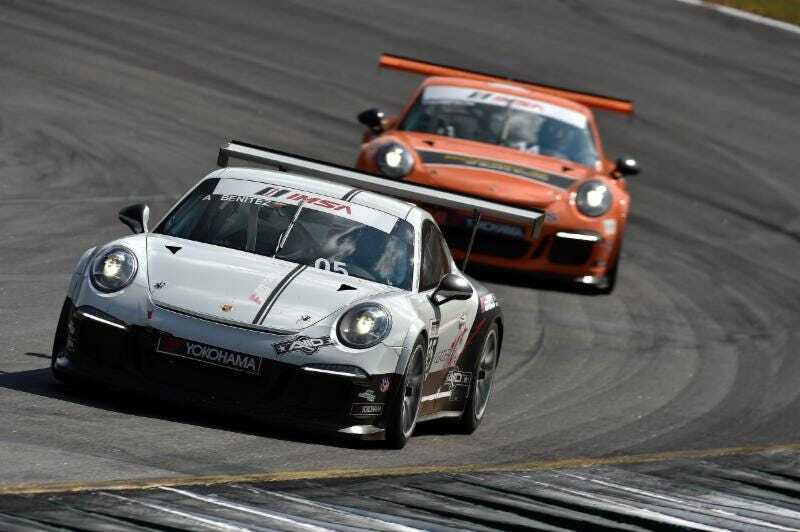 Are you also a firm believer in the awesomeness that is GT3 Cup? Don't miss the live stream of the season finale here on imsa.com of the race happening at 11:25 a.m. EST. A mere seven points separate the top three drivers in the championship and it just started to rain—hoo boy! A mere one point separates series leader Michael Lewis from second place driver Colin Thompson. Additionally, live text commentary can be found on Twitter at @IMSAlive.